We previously posted a heap of stats about online reviews that will convince you of their importance in your marketing strategy. Now, it’s time to get tactical. Which 3 sites should your business be listed on so that you can start building your positive reviews there? Even though it doesn’t specifically focus on tours and activities, its massive user base will search for everything to do with their trip – including what to do when they get to a destination. That’s where you come in, listed in their Things To Do section. 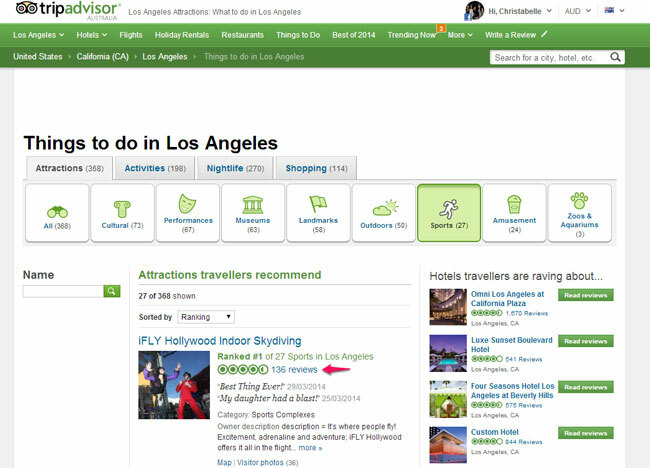 Users can filter by type of attraction, activity, nightlife, and even shopping! That is prime real estate! 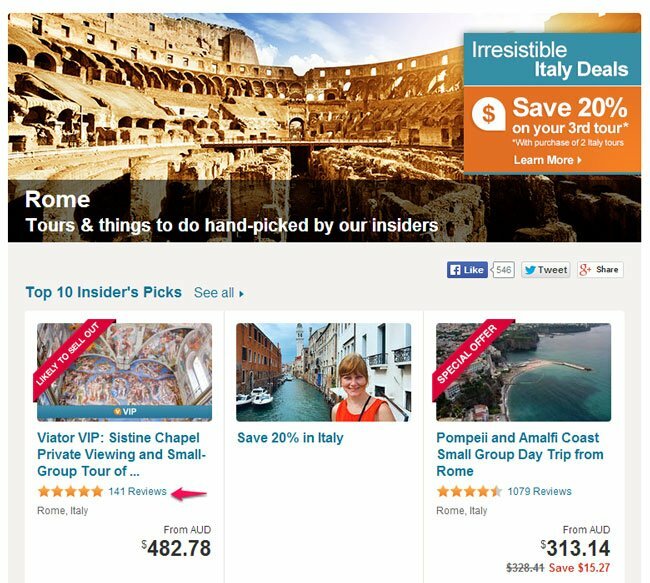 Of course, there has been some negative feedback about how TripAdvisor doesn’t allow multi-day tours, but it is still a great referral source to your website. For example, if you offer a day tour as well as multi-day tours, travelers can find your website through your TripAdvisor day tour and then select a multi-day tour because they see it on your site. Viator is focused on the tours and activities sector, making it another huge must-have for tour operators. It doesn’t only sell to a global consumer base on Viator.com, it also uses 60 consumer-facing websites, mobile websites and apps, and a global network of affiliate to distribute your products. As you can see, the tour on the left is the most top rated and likely to sell out, even with ony a tenth of the reviews of the one on the far right that’s on special offer. I don’t think we need to convince you about the importance of Google for your online presence. As the largest search engine in the world, creating a Google business profile should not be something to delay. With Google Local, local businesses can list on Google so that their businesses can be found on Google maps and reviewed by customers. 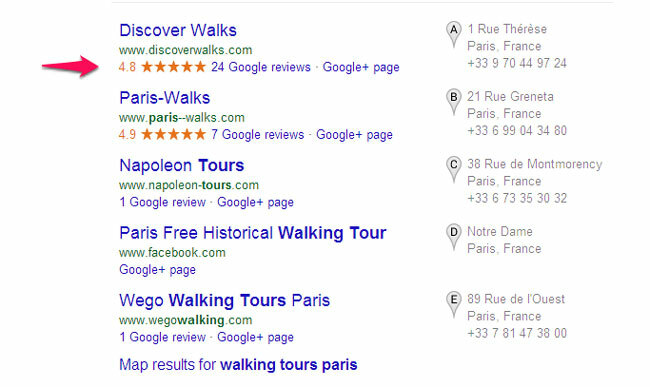 The user searches for what they want in the search engine (in this case “walking tours paris”), and instantly Google serves up several businesses with outstanding reviews. Users can browse reviews before making their decision, or if they need more detail, the business’ contact details are conveniently listed in case a phone enquiry is needed. To get listed on Google, follow these instructions. Google will verify your business address before giving you the local business page. Only then will you be able to start asking customers to review you. If you get a negative review, it can be daunting. But as we have previously advised, shying away from it won’t help. Better to address it straight away – and with tact – than delete it or say nothing. It’s not like that negative feedback will go away if you don’t do anything about it. In fact, you might be able to turn it into a positive experience by saying the right thing.